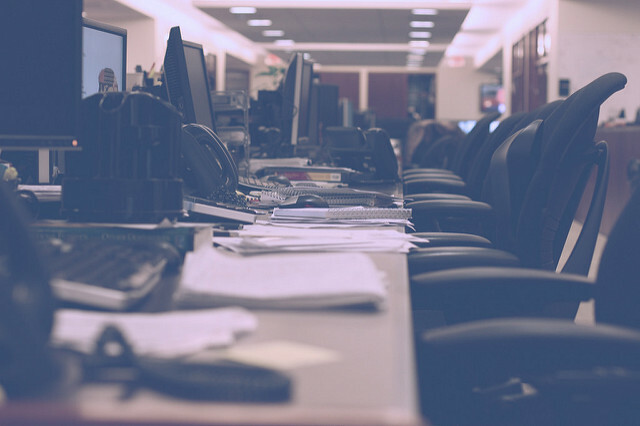 We’ve all heard that we should take a mental health day from time to time, but how many of us are brave enough to actually take one—and let our coworkers and boss know that mental health issues may be the reason for being out of office? Well, Madalyn Parker, a web developer, did exactly that in an email. 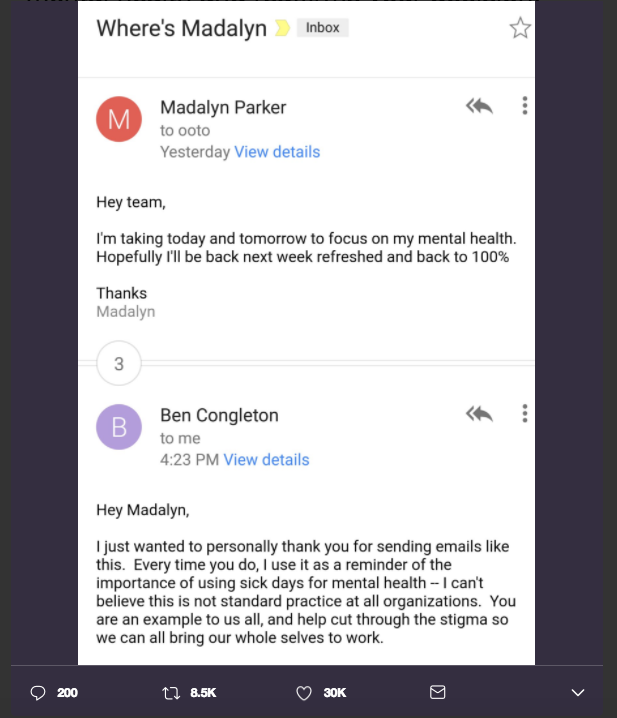 She sent an email to her team letting them know she was taking two days off “to focus on my mental health”—and was shocked by the CEO’s response. She tweeted the email exchange, where it has over 30,000 likes and 8,400 retweets. Ben Congleton, the CEO who replied, was so stunned by the outpouring of support that he wrote about it on Medium. “I wasn’t expecting the exposure, but I am so glad I was able to have such a positive impact on so many people,” he wrote on July 6. Congleton is sourcing a Scientific American article from December 2016, which goes on to report that “just over one in 10 adults reported taking prescription drugs for ‘problems with emotions, nerves or mental health,'” sourcing statistics from a piece published in JAMA Internal Medicine earlier that month. It’s even more difficult for people of color to not only receive mental health care, but to even discuss it. It’s also more difficult for people of color to feel as though others—even medical professionals—can relate to their mental health care; “African-Americans make up less than 2 percent of American Psychological Association members, according to a 2014 survey,” Mic reports. Even more, “Latinos are less likely to report mental illness,” with very few Latinos actually seeking help, according to Latina. Which is why it’s so helpful and important for people like Congleton and Parker to speak openly about the need to take care of mental health. “What if we talked about physical health the absurd way we talk about mental health?” ATTN: asked in a video posted on May 26. Her point is valid, mental and physical health are treated differently. As the video shows, you wouldn’t tell someone with a broken leg, “it’s like you’re not even trying to walk.” Why do we do the same thing to people suffering from mental conditions?